Based in Wayland, Massachusetts, J.G. ELECTRIC COMPANY, INC., offers affordable electrical services for residential and commercial clients. Our highly trained Electricians are fully equipped to handle any job, from generator installation to complete building wiring. 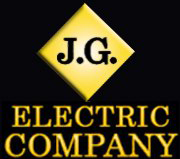 The founder of our company is Joseph Gebhardt Jr. As a licensed Master Electrician, Joseph has the skills to complete any job. He also has more than 30 years of industry experience, which means he knows how to work with many clients. Joseph has worked with clients not only in Massachusetts, but also in New Hampshire and Maine. We will always provide you with the highest quality job, and the most conscientious service. You might be surprised to find that we're often the lowest bid. Joseph is a member of several organizations. For more than 25 years, he has been a part of the Massachusetts Electrical Contractors Association (MECA). He served as the South Middlesex chapter's president, as well as the leader of the MECA's state board. Additionally, he is a member of the International Inspectors Association (IEIA). As a member of IEIA, he is able to network with other Electricians and learn about the latest technological advances in the field. Co-owner Elise Gebhardt is a member of the Women's Business Group (WBG). To learn more about this organization, click here.